In this episode, Audrow Nash interviews Peter Corke, Professor of Robotics at the Queensland University of Technology and Director of the Australian Centre for Robotic Vision, about Robot Academy. 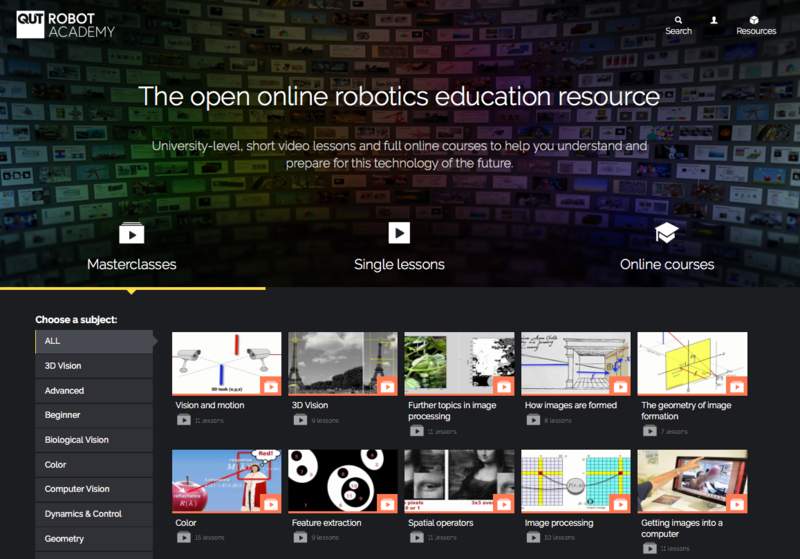 Robot Academy is an online platform that provides free-to-use undergraduate-level learning resources for robotics and robotic vision. The content was developed for two 6-week Massively Open Online Courses (MOOCs) that Corke taught in 2015 and 2016. This content is now available as individual lessons (over 200 videos, each less than 10 minutes long) or in masterclasses (collections of videos, around 1 hour in duration, previously a MOOC lecture). Unlike a MOOC, all lessons are available all the time. While the content is typically designed for undergraduate-level students, around 20% of the lessons require no more than general knowledge. Each lesson is rated in terms of difficulty (on a 5-point scale), and Robot Academy references videos on Khan Academy to help students get up to speed to follow more advanced lessons. 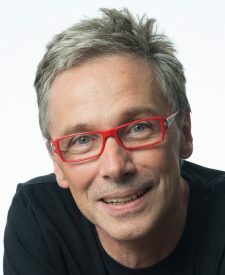 Peter Corke is Professor of Robotics and Control at the Queensland University of Technology leading the ARC Centre of Excellence for Robotic Vision in Australia. Previously he was a Senior Principal Research Scientist at the CSIRO ICT Centre where he founded and led the Autonomous Systems laboratory, the Sensors and Sensor Networks research theme and the Sensors and Sensor Networks Transformational Capability Platform. He is a Fellow of the IEEE. He was the Editor-in-Chief of the IEEE Robotics and Automation magazine; founding editor of the Journal of Field Robotics; member of the editorial board of the International Journal of Robotics Research, and the Springer STAR series. He has over 300 publications in the field and has held visiting positions at the University of Pennsylvania, University of Illinois at Urbana-Champaign, Carnegie-Mellon University Robotics Institute, and Oxford University. Robohub Podcast is a non-profit robotics podcast where we interview experts in robotics, including researchers, entrepreneurs, policy makers, and venture capitalists. Our interviewers are researchers, entrepreneurs, and engineers involved in robotics. Our interviews are technical and, often, get into the details of what we are discussing, but we make an effort to have our interviews understandable to a general audience.